India is growing rapidly with the increase in the number of wealthy people that have emerged all over, which, in turn, has given rise to a large section of consumers who are now moving to luxury/premium brands, thereby creating a greater business opportunity for luxury marketers. There are more than 50 million active e-Commerce shoppers in this country. By 2020, this figure is estimated to reach 320 million , which in turn, would translate into US$ 120 Billion for e-Commerce alone in India — mind-boggling figure by any standards. As per the 2016 Euromonitor report , this particular segment of India’s retail industry is booming, estimated to be worth around $200 million, and growing at a rate of 40% every year. Along with this recent trend of online purchase, with the advancement of internet-driven technologies, has made such luxury products available to the different sections of society. At the same time, the increased usage of mobile phones and rise in disposable income among millennial Indians have also contributed to changing trends in the country's luxury retail market. However, despite these upbeat projections, there are problems that the industry as a whole need to address from the consumer’s viewpoint. Though innocuous at first glance, these problems can really upset the apple cart and make projections go astray. A month or so ago, the author of this article went through a couple of experiences. They are profiled below to illustrate the problems and mull possible solutions. On June 1, 2018, A suave, eye-catching advertisement on a Facebook page (operated by topsoundsports.com) popped up — Bose® FreeStyle™ earbuds — that sell in their store for upwards of US$ 150 were available at a 25% discounted rate of their original cost. Being a sound enthusiast, the author couldn’t resist the urge and ended up making the purchase. The transaction was completed through a credit card and he received a confirmation mail of the purchase almost instantaneously. Everything looked warm and genuine, supported by reviews – most of them gushing testimony of how good the product was. At the time of writing this article 25 days later, the author has still not received the hallowed product. Any attempt at checking with the site has been futile. In the end, the author ended up spending nearly US$ 50 for which there has been no accountability. In all probability, its US$ 50 down the drain of aspiration. To be honest, this is not the first time it happened. About 6 months ago the author tried to purchase a water filter online and even paid US$ 25 for it. It hasn't been delivered yet. At another occasion, surfed through a well-known e-commerce site and purchased Dakkar Noir (a men's fragrance by Guy Laroche created by perfumer Pierre Wargnye) for a fraction of what one generally pay on a regular foreign trip at any duty-free shop. Unfortunately, the received product is a fake through and through. The author being the disappointed buyer wrote back to the website and eventually, they banned the retailer who rode on their network. However, the money transacted and the effort applied — remains unaccounted. Around the same time, the author also bought another perfume. This time for his mother’s birthday. She has always had a heightened sense of smell and expensive taste. So, he went to the web and googled for Versace Yellow Diamond Intense — her poison (nee – perfume) of choice. There was absolutely no stability in pricing. There were sites who were selling a 90 ml bottle for as little as the equivalent of US$ 50 and some that sold it for as much as US$ 100 or even more. How would an online buyer know what was the real deal? So, a small recon was done on the social media circuit, the investigation was launched with query posted among the digital peers. Later, the consecutive replies over the thread led to a site called — Vaicitri and the information which had been shared, clearly informed the author about the most genuine and widest-range of perfumes available in India's digital space. Kindly do note, a large impact of community networks or forums have traditionally increased the online shopping tendency. 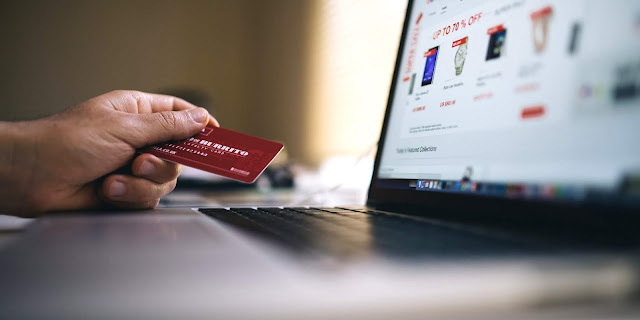 Traditional ratings and reviews supplemented with features on a particular product have helped in connecting shoppers and referring them about popular sites to purchase. The investigation went little further. Vaicitri is a Chennai-based e-Retail company that focuses only on genuine, luxury products — particularly, premium fragrances. Somehow, the author got in touch with their promoters (through Facebook, of course) and they responded back. They assured, all purchases would be genuine and that Cash-on-Delivery (COD) option is very much available, a cushioning factor for a buyer's anxiety. Somehow the feel of the site and the sophistication of the products which had been cataloged made the first purchase very much comfortable, as also the genuine warmth in their replies on Facebook – surely not the automated reply from an AI plugin - from some godforsaken corner of the world, but a warm bodied reply of a sensitive individual made an impactful push towards that purchase. So, the author bit the bullet in spite of the offers provided by other sites that promised him the same product at a lesser price. With a strong reasoning and a craving for a genuine stuff – regardless of the cost, the author finally placed the order. After two days the product was delivered, and the author received an email asking him about his overall shopping experience with them and whether if he would like to shop again with them. The answer was an unequivocal —‘YES’. It's time for the e-Commerce industry to regulate itself for the sake of credibility. Large product aggregators a.k.a the marketplaces and small but niche stores who are running their own portals need to create a concept of transparency, which means, being clear about who you are and your motives and goals. Also, collectively, the definition of the reputation and credibility need to be defined as "industry standards" which can be adopted by any-size player. They need to create a conducive environment where fraud and chicanery have no place. Genuine goods are recognized for what they are – a virtual stamp of approval of sorts so that everyone in the value chain has a level playing field. Every fake product sold is actually a potential loss for some honest businessman who is trying to make a living. Its similar to piracy and the movement against the same. It's time that the online retailers and the manufacturers/brand owners around it underwent some sort of catharsis that rejects the fake and the cheats while embracing the principles of honesty and fair play. Otherwise, an inhibition of acquired fear among the buyers with respect to online purchases will create a counter-productive environment which will go against the growth projected by the esteemed people at Morgan Stanley, and their numbers will remain just a pipe dream. Pramit Ghosh (TR RID: C-2882-2018 | ORCID: 0000-0002-8062-2381) is the founder of Cognito Innovo, a tenured marketing professional with 16 years experience in telecom vertical specializing in Marketing Operations, Strategic Planning, Product Marketing, MARCOM / Brand Management, Base Management, Trade Marketing, GTM Plans & implementation, Team Management and Product Launch.